Christmas decorations, those simple little glass or plastic ornaments that fill us all with the very epitome of the holiday spirit. Just thinking about decorations can easily have you conjuring up images of children desperate to adorn their chosen tree with their favourite baubles and characters. What if you could capture this feeling of joy in electronic Christmas cards for business? Well, we have some great news for you; with our Holiday Dreaming ecards you really can make sure that your clients and customers season is a festive one. 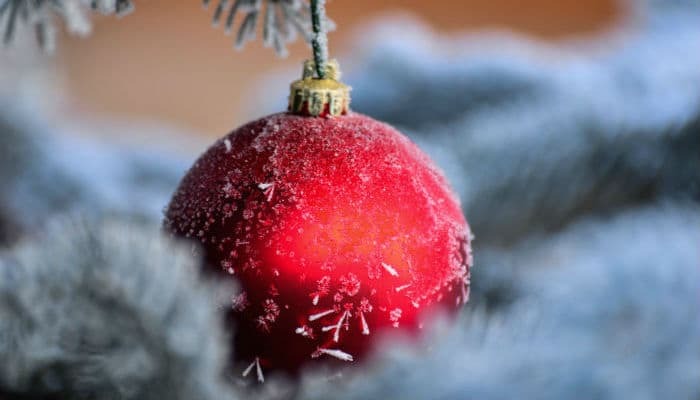 A simple red bauble nestled in the classic snow flecked Christmas tree, what could be more in keeping with the spirit of the season than this? It is our aim to create ideal holiday ecards for business and we believe that the beauty and simplicity of Holiday Dreaming you can be proud to send an electronic card around to everyone on your good list! Fully customizable and animated too, there is no need to look any further, you have found the electronic card of your own dreams and with a process so simple, you can be sure that it won’t be a nightmare to amend and send the ecards out via email.